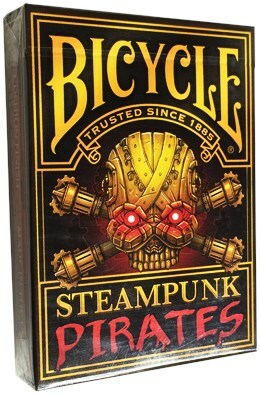 Steampunk and Pirates come together like never before. A companion deck to the wildly popular Steampunk Cthulhu deck. Beautifully designed and printed card backs. Unique full-color illustrated court cards, aces and jokers. A custom Steampunk Pirates tuck, perfect for tucking.